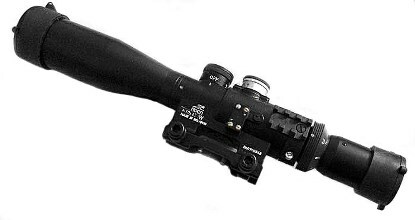 POSP 4-10x42 WD- Sniper Rifle Scope with reticle illumination Range Finder and Diopter Adjustment. - 5 gradations of brightness. The POSP 4-10x42WD is for rifles with a standard Weaver or Picatinny base.